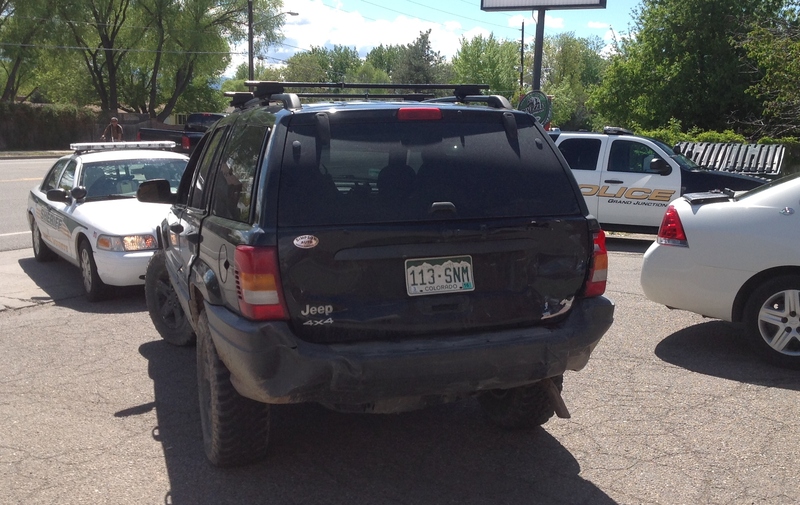 A Grand Junction man, suspected of intentionally ramming four vehicles with his SUV, is now in custody. At this point in the investigation we believe 34-year-old Casey Holder got into a verbal argument with a woman in the area of 30 Rd and D Rd just before 2:00 p.m. today. Witnesses say he then got into his Jeep SUV, and as he was leaving the area intentionally rammed into a pickup truck and a car that were nearby. 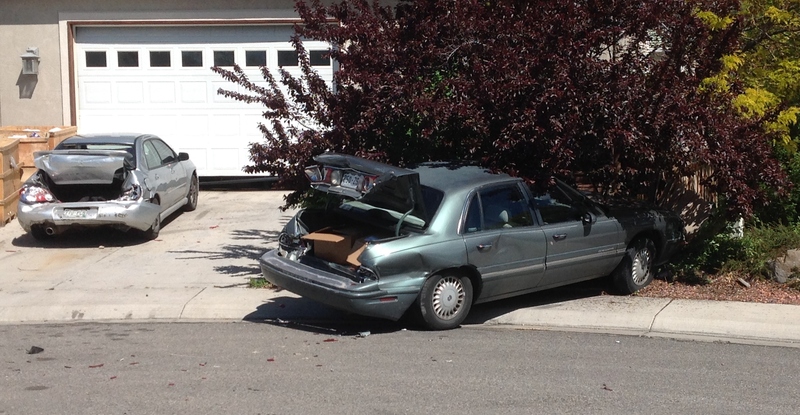 Holder made his way to a home on Hoover Ct, where witnesses say he again intentionally rammed into two cars, pushing one of them into the garage of the home and the other into the front yard of the home, causing significant damage to both vehicles and the garage. He then left that area. Grand Junction Police officers and Mesa County Sheriff’s Office deputies immediately began searching the area for Holder. A deputy spotted him near 31 1/2 and Patterson Rd., and was able to pull him over in a small parking lot on Patterson Rd., just east of 30 Rd. Deputies ordered him out of the Jeep at gunpoint and took him into custody without further incident. GJPD officers collected evidence at both scenes and booked Holder into the Mesa County Jail. Charges at this point include first degree assault and felony criminal mischief. Other charges are possible depending on the outcome of the continuing investigation. enjoyment, since this this website conations truly good funny information too.